Natural and organic skincare company MuLondon has picked up the Best Vegan Cosmetic Product prize at vegan charity Viva!’s 20th Anniversary Awards. 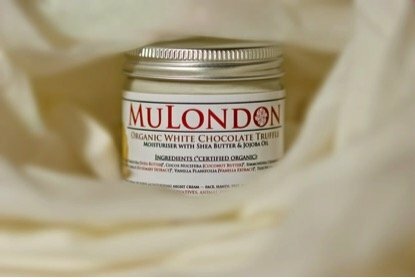 Winning product MuLondon’s Organic White Chocolate Truffle Moisturiser, is made in London and is 100% vegan, free from animal ingredients, artificial preservatives, emulsifiers or synthetic fragrances. The skin care range from MuLondon includes moisturisers and cleansers in varieties such as frankincense & myrrh, rose, and lavender. MuLondon products are scented using natural and organic herbal extracts and essential oils.